West Yorkshire Police have recently published some great crime prevention checklists. As quite a few of these checklists involve windows and doors, we thought this would be some great advice to pass along to our customers. Euro Cylinder Locks – Are the Euro Cylinder locks on your UPVC doors up to standard? Cylinders should be measured correctly and fit flush to the handle or door, they should not stick out from the door or handle. As a company that specialises in Windows and Doors this is something our dedicated service engineer can help with. We’ve completed 100’s of door security upgrades over the years in the Huddersfield and surrounding area. Why not contact our service engineer about possible lock upgrades? 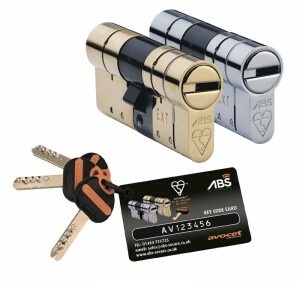 If your keen with DIY then we also sell ABS High Security Euro Cylinders on our Spares 4 Repairs website. Windows and Doors – Sneak in burglars want your stuff! Door and windows should be locked at all times, it only takes 60 seconds for someone to reach through an open door or window. When locking doors take the key out, don’t leave it in view or reach of a letterbox or cat flap. Always know where the house key is in case you need to get out in an emergency. Gardinia can also install restrictors to limit how far a window or door will open, this can be ideal for allowing some ventilation, however still keeping things secure, in addition to child safety. In addition we also sell UAP Cable Child Safety Window Restrictors on our Spares 4 Repairs website if child safety is a concern. 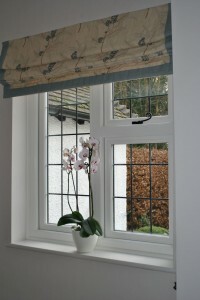 Patio Doors – Or a shop window to your home? 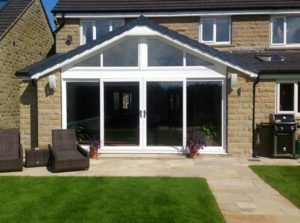 Can your existing patio doors be lifted off their tracks and out of position? Keep them locked and the key in a safe place, rather than left in the lock. When having a patio door installed you can often have an optional slide lock bar fitted for additional security, this is something we would recommend. We feel these leaflets are very well put together and could even be printed and passes on to family and friends. We recommend browsing the West Yorkshire Police advice page for more useful crime prevention advice.